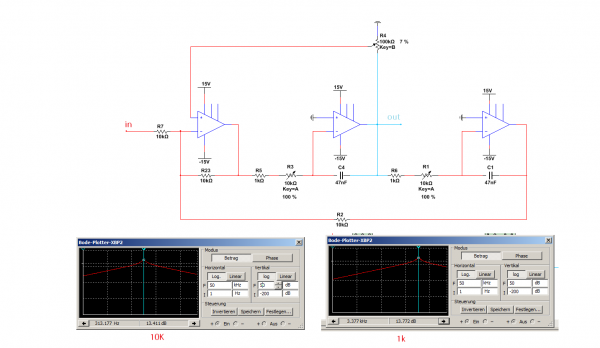 I'm looking for a bandpass filter where it is possible to shift the center frequency with one dual-potentiometer. can't you do that with an arduino ? 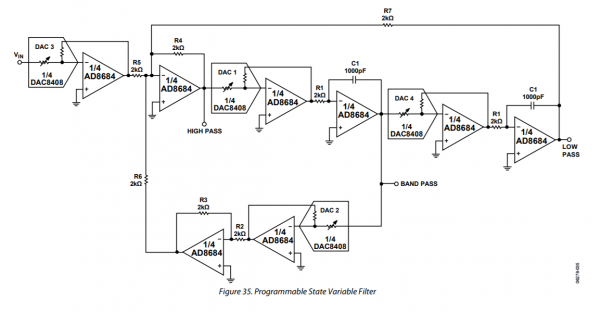 Why not a BP VCF like a state variable? Then you can have a pot (single) for Fc and another pot (also single) for Q. Then if you need to control it with voltages, you've got the inputs already there. 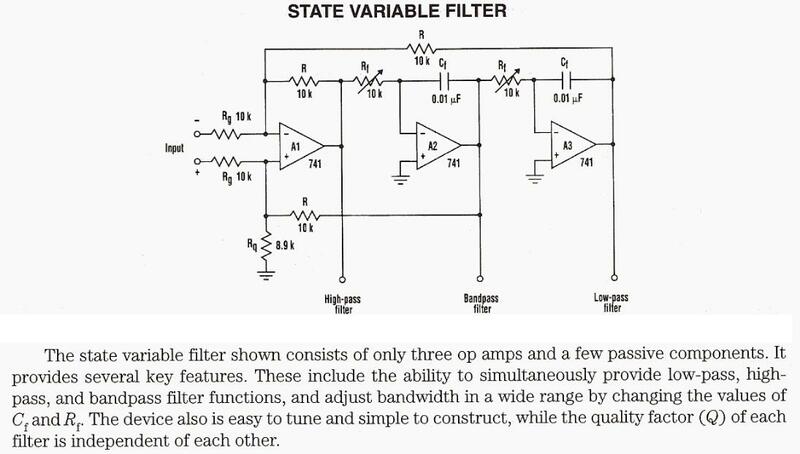 This times it is really hard to find a filter which is not voltage-controlled. And most of them are children of generic state-variable filters. 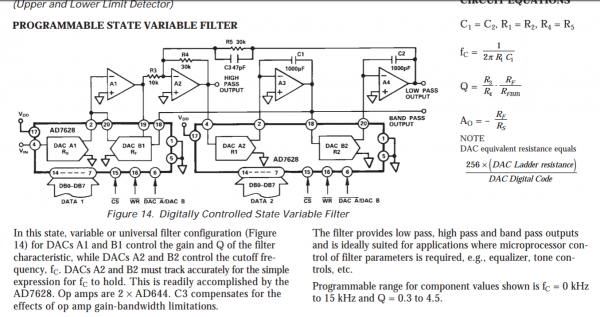 Perhaps only guitarists are still using filters with potentiometers. Here is one of them (Anderton super tone control). 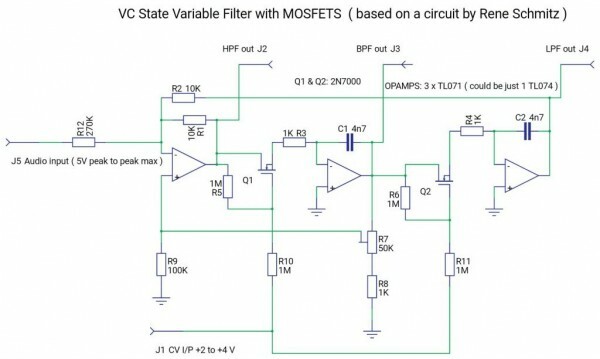 Below are some examples of such filters if you change your mind about way of control [FET VCF from gasboss ]. 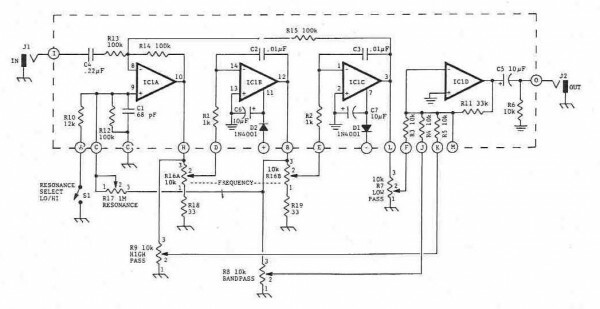 Simplest to build but hardest to modulate are the state variable filters where resistors (potentiometers) were replaced by multiplying DACs.